Have you ever launched into a song only to realize partway through that the melody was too high or too low for you to sing? 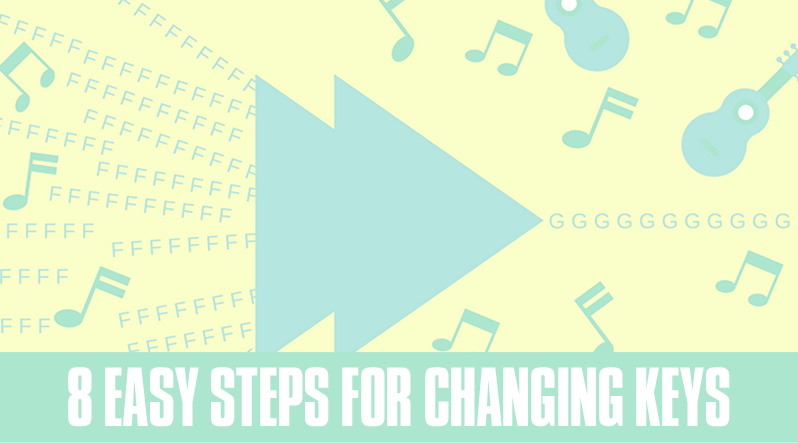 Instead of straining your voice trying to hit those elusive notes, or scratching the song from your repertoire altogether, all you need to do is change the key you're playing in! A capo is particularly useful for this. Whenever you play a song, you have to choose a key to play that song in. This key determines how high or how low the song is. Most popular music tends to use one of a few common keys, like C Major, because they are the easiest to play. Learn more about a key and other musical words in our dictionary here. Every note in music has a letter name. The music alphabet is made up of only seven letters that run from A to G. This is because when we play the notes in order, the note that would follow G—what we would call H—sounds like another A, but an octave higher. So we just start the set of letters over. For example, the key of C is C D E F G A and B. We then return to C, an octave higher, and start all over again. A scale is a group of notes arranged in ascending order (think Do Re Mi Fa So La Ti Do). They span a set of eight notes, or an octave. The scale for the key of C Major is C D E F G A B C. The C is the only major scale that features all natural notes (no sharps or flats). A chord is built by playing the 1st (known as the "tonic" or "root" note), 3rd and 5th notes of a scale together. 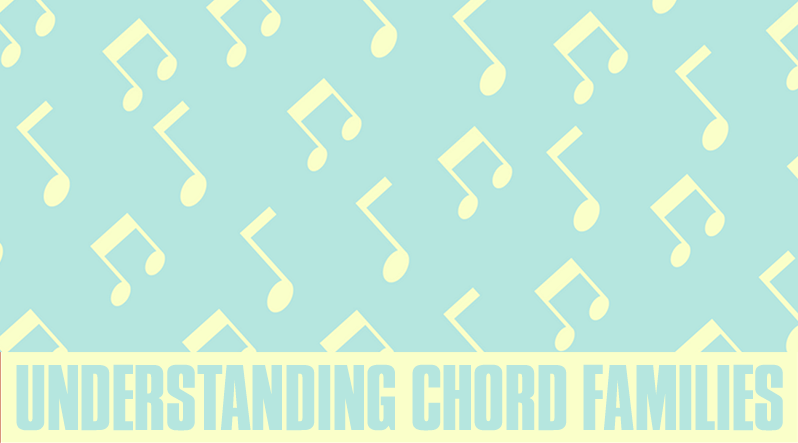 You can always use the Chord Finder and the Scale Finder to search for correlating chords and scales! Notice that some of the numerals are uppercase and some lower. The uppercase numerals represent major chords and the lowercase, minor chords. If there is a degree symbol after the numeral, it is a diminished chord. 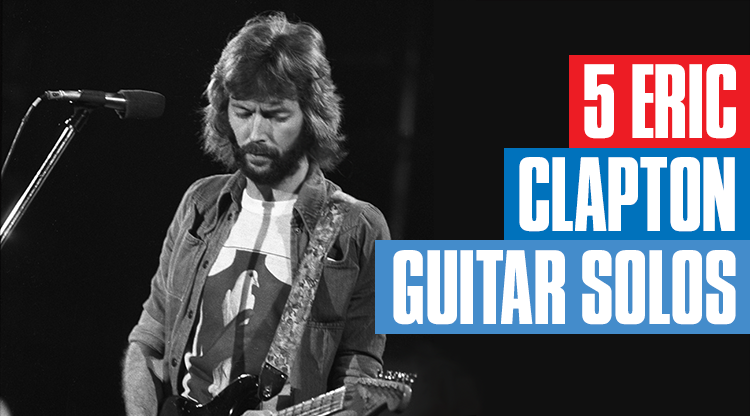 In C the chords for a I – IV – V – IV progression are C – F – G – F. In G, you would end up with G – C – D – C.
Certain sequences of chords tend to come up over and over again in popular music, so it is very helpful to be able to recognize these patterns. By learning the patterns as numbers (in Roman numeral format), you will be able to identify them in all keys. If a song tests the upper limits of your vocal range, you will have to transpose down. For example, if the song you're playing is in the key of G, transposing down would mean to change the song to a lower key, like F. If it's still too high, you could go down even lower to E, and so on. If a song is so low that your voice is cutting out, you will have to transpose up. So, if you're playing in the key of G, transposing up would take the song to a higher key, like A. If A is not high enough, you can transpose it again to B, and so on. 7. Switching the key, means switch the chord! When you transpose from one key to another, you will likewise play different chords, so do develop your chord vocabulary. You can also use a capo to transpose the key of the song. A capo is a device that instantly changes a guitar's key by clamping down all the strings in a particular fret simultaneously, in effect creating a new nut. While it's always a good idea to have a capo on hand, it's an even better idea to know how to transpose keys in your head. After all, the more skills you have at your disposal, the more versatile a player you'll be. For more in-depth instruction on how chords work, check out Introduction to Music Theory. Would really like to know the tricks!!!! !